Newcastle-based Ramarketing has been appointed by sports recovery brand Natural Hero to boost its trade and consumer profile. The agency, which specialises in healthcare, will assist with media, brand and export strategy and implement a PR, marketing and social media campaign. 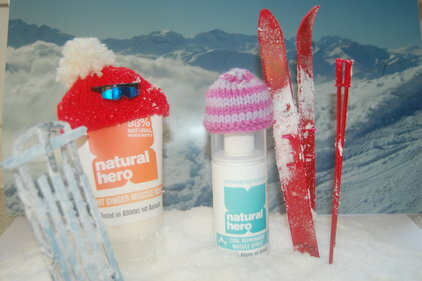 Natural Hero, which launched last year, is a non-medicinal wellbeing range of products containing 'rubefacient' herbs – a class of botanicals that have a soothing effect when applied to the skin. The brand is seeking to position itself as an environmentally friendly, feel-good alternative to existing training and recovery products and uses the strapline ‘tested on athletes not animals’. It ranges is currently being trialled by 56 Holland & Barrett stores and Fenwick, Wholefoods, Snow & Rock and Sweatshop. Natural Hero became the first sport and fitness brand to receive ethical accreditation from the Ethical Company Organisation last year. It is also a member of 1% for the Planet, an initiative founded by Yvon Chouinard of outdoor wear giant Patagonia.